please visit www.brownpapertickets.com/event/90125 or call 1-800-838-3006. GLOBAL LINGO NOW AVAILABLE ON ITUNES! Children at the Rehabilitation Clinic in Kolkata receive Global Lingo in 2009. 6 years in the making, this extraordinary international music service project was officially launched today on iTunes! I worked closely with JBoogie to produce two tracks, featuring the vocal talents of children in Kolkata and Ahmedabad, India. Proceeds from the sale of this album go towards supporting innovative music education programs for underserved youth worldwide. Please purchase or gift the album on iTunes by clicking here. Renowned musicians such as Michael Franti and Spearhead (San Francisco), Karsh Kale (UK), J-Boogie (San Francisco), Funkadesi (Chicago), Tablapusher (San Francisco), DK (NYC), Sunny Jain (San Francisco), and Janaka Selecta (LA) have donated or joined forces with our sponsored programs such as Youth Movement Records in Oakland, California (USA), Manav Sadhna in Gujarat (India) and Ritmo en os Barrios in Managua (Nicaragua), and beyond to record and remix original tracks for the Global Lingo CD project; a musical celebration of diversity, delivering funky rhythms of reggae, bhangra, hip hop and electronica in a mix-tastic compilation album. 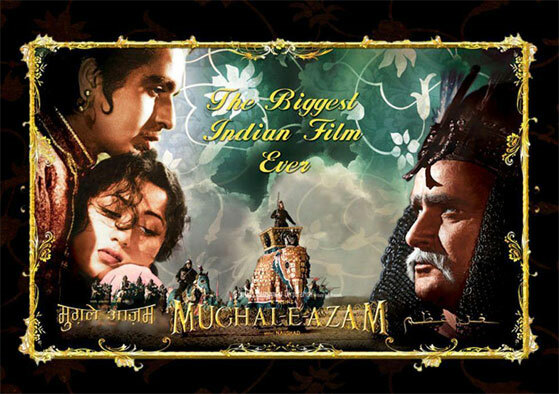 Mythological magic, swashbuckling adventure, melodrama and romance – Cinema inspired the imagination of the subcontinent very early in its history. By the 1920s, early Indian cinema had found its own sophisticated language drawn from a strong tradition of story-telling and theater. By the time the National Film Archive was created in the 60s, a large part of this rich cinematic heritage had been lost to the vagaries of tropical heat and rain. But some gems remain. 3rd i is proud to bring you this opportunity, as part of its Speaker Series, to see rare excerpts from some of the earliest films from the subcontinent, including: Kaliya Mardan (1919), by India’s film pioneer D.G. Phalke, about the exploits of a young Krishna; Gallant Hearts (1931), ‘a fast and furious comedy-action-adventure film, filled with court intrigues, rowdy sword fights, and fantastic locations’, modeled after The Thief of Baghdad (1924); films from the legendary Bombay Talkies studio; and early sound films like Achut Kanya (1936) and Aadmi (1939). Anupama Kapse will provide an introduction to each film, and lead us through a short history of early Indian cinema, from the silent era into the arrival of sound on the Indian filmscape. All films will be presented in a digital format; since most of these films have not been restored, the quality of some of the clips reflects the archival nature of the prints. Robin Sukhadia will provide musical accompaniment for select clips. Bollywood film music fanatic Robin Sukhadia completed his Master of Fine Arts at the California Institute of the Arts. 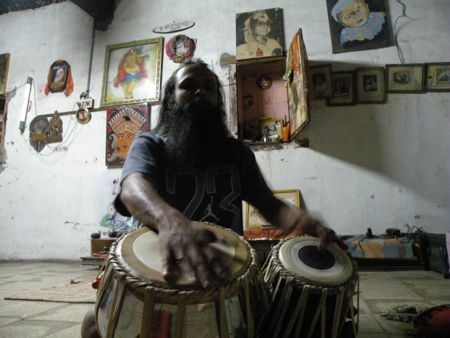 He has been studying the tabla under Pandit Swapan Chaudhuri at CalArts and the Ali Akbar College of Music in San Rafael, California for the past seven years. His special focus on the musical traditions and rhythms of South Asia informs his approach to musical arrangement and composition on a wide range of concert, film and album productions. For the past 5 years, Robin has traveled internationally on behalf of Project Ahimsa, an organization committed to empowering impoverished youth through music education. In 2008, Robin presented a 3-part talk, Bollywood Sound & Image: A discussion with Robin Sukhadia, at 3rd i’s Speaker Series. It was a supreme honor to play with Rupa & the April Fishes in Santa Clara last night. The energy of the sold out crowd before, during and after the concert was electric, we had a blast. Can’t wait for the new album to release, am eager to hear tabla in the mix! Here are some pictures from the event. Tuesday April 28, 2009 FREE! The Southern Asian Art Council proudly presents a seminar focused on the sound and music of Bollywood throughout the decades. Learn about Bollywood’s master film composers, playback singers, arrangers, and its steeped-with-glamour musical history. We promise song and dance, whimsical musical arrangements, gaudy colors and melodramatic love scenes — all of this, of course, without any kissing on screen. Bring the kids! The program will feature music videos and clips from Bollywood films projected on the big screen, accompanied by historical/political insights and performance demonstrations by Robin Sukhadia. Robin most recently earned a Master of Fine Arts in World Music at the California Institute of the Arts. 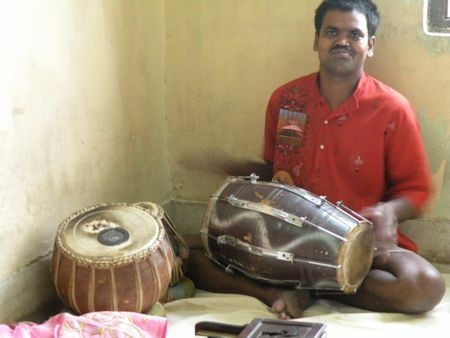 He has been studying tabla (classical north Indian drums) under Pandit Swapan Chaudhuri at CalArts and the Ali Akbar College of Music in San Rafael, California for the past eight years. His special focus on the musical traditions and rhythms of South Asia informs his approach to musical arrangement and composition on a wide range of concert, film and album productions. It was quite magical performing acoustically within the iron walls of the the Richard Serra sculpture at LACMA (Los Angeles Contemporary Museum of Art) in November 2008. We gave 2 30 minute improvised concerts, both received wonderfully by audiences. The high ceilings and the curved walls of the sculpture threw the music around in interesting ways. One audience member came up to us afterwards and said we humanized the space and piece. Sheila Govindarajan, a dear friend and artist, joined us on this piece. I love the baby that keeps gravitating towards us, much to the dismay of her protective parents. New America Now is an ward winning, hour long, news and culture audio magazine for and from California’s ethnic communities. 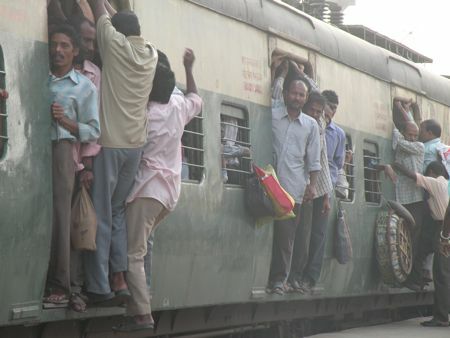 My final days in Kolkata, India were miraculous. A site visit to Mentaid, one of Project Ahims's most successful partnerships, was centered on sharing Global Lingo. Mentaid focuses on empowering children and adults who come from disadvantaged background and who are mentally handicapped. Music therapy is used daily to empower each and every individual at Mentaid. 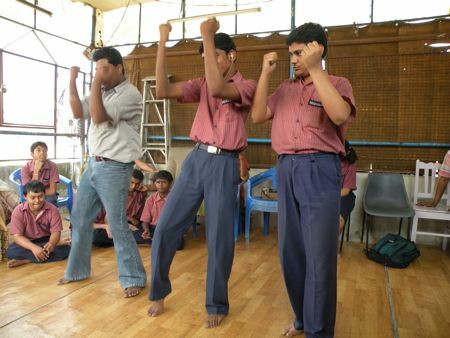 Each year, Project Ahimsa provides support for an annual dance drama, where each child participates. They all performed for me, and afterwards we played Global Lingo for all of the children. They immediately began to dance, and the moment was priceless for me&#8230;seeing the children hearing themselves remixed gave us all enormous smiles. I am thrilled to announce that I have been appointed Director of Communications and Information for the National Music Service Initiative! This federally supported program is built around the concept of AmeriCorps and Peace Corps, and aims to provide fellowships for musicians seeking to teach and work in underserved communities nationwide. Listen to NPR’s recent story on this incredible effort. We are on the threshold of an important resurgence in the arts and music especially as the economy continues to collapse, and healing through the arts is going to be more vital now than ever. I really believe this, and ts going to be exciting to be on the team that architects this movement. MNSi recently received $500,000 from the Hewlett Foundation, and just this week the House passed a bill to expand AmeriCorps and Teach for America. Kolkata continues to inspire me, as the fruits of over 5 years of Project Ahimsa’s programming at Disha Foundation (in the Monohopukar slums), Rehabilitation Clinic, and Mentaid continue to bear incredible fruits of progress. At Disha Foundation, a tabla teacher supported by Project Ahimsa intensely teaches a group of rising tabla stars. The day I arrived, 2 new teachers have been hired to teach guitar and singing to the eager students. Mentaid too shared incredible stories of the children performing annually in their dance drama production, supported by Project Ahimsa. When the children saw their pictures on the Global Lingo CD, they jumped with joy! The children at RCFC (Rehabilitation Clinic) in Kolkata spend up to 2 years undergoing intensive orthopedic surgery to straigten their legs. Last year, Project Ahimsa helped to build a dedicated music room for the children, where music therapists help them heal and express themselves. Accompanying the children while they sang in the surgery ward was truly inspiring. A closeup of a child’s prosthetic. We all listened carefully to the RCFC track that closes the Global Lingo album. The kids loved to see and hear themselves on the album. Instruments donated by Project Ahimsa at RCFC. Children at Disha perform marvelously during our site visit. The music teacher at RCFC, who has been coming to RCFC to teach and administer music therapy, smiles for the camera! Arriving in Kolkata is like coming home for me, for many reasons. It is here that my intensive study of tabla crystallized six years ago, and it is here that some of Project Ahimsa‘s most innovative programs are flourishing. Rosalie Giffoniello of partner organization Empower the Children has been a major pillar for 6 programs featuring a wide range of musical and creative programming supported by Project Ahimsa. Today, I visited Prabartak School for the Handicapped, where orphans have been receiving support for music and dance programming from Project Ahimsa. It was truly humbling watching such musicality from children and adults who have been abandoned. Their clarity of voice, tone, and rhythm masked any handicap. Best of all, they sang traditional songs written by Rabindranath Tagore, the great Nobel Prize winning Bengali poet and genius. It just continues to amaze me to see how happy humans can be when there is music, when there is an outlet for creative expression. I interviewed a few of the children and adults at Prabartak, to hear how they arrived at the school. Arjun was abandoned by his parents at age five, and was imprisoned. He didnt know why he was imprisoned. He was beaten there, and he told me how he was forced to do hard labor. He was finally released, and found his way to Prabartak. 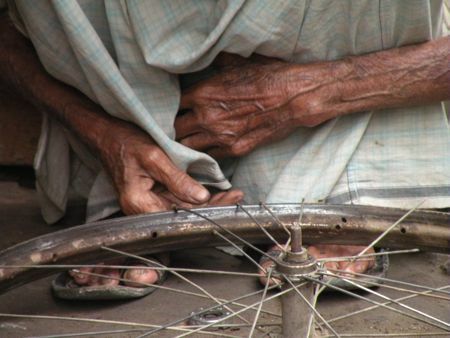 He says that his family still live in Kolkata, but they dont visit him here, and that they are too poor to take care of him. Here, he has found an outlet in music. He loves giving happiness to others through music. Another child here has tuberculosis of the bone, and it has rendered him completely handicapped. It is when he is playing music that he smiles. Each person here radiates joy when playing music, and I felt honored to play alongside them. They gave me a standing ovation, and it was probably the most incredible audience i have ever played for. Global Lingo, Project Ahimsa’s CD featuring the voices and talents of children worldwide, was received with great enthusiasm at the Gandhi Ashram today. A special listening session was organized by Jayeshbhai at his home for the children involved with the project, and it was amazing to see thier facial expressions after hearing their own voices remixed. Ganesh, the boy adorned with Golden headphones on the cover, held the CD high while his parents looked on with great pride. It was a special moment, 5 years in the making. A special concert featuring Payal from the Let Them Sing CD was held at Seva Cafe, in downtown Ahmedabad. I followed each of the kids home to learn more about where they live, where they practice music, and from whom they learn. 10 year old Vishal, one of the star tabla talents featured on the Global Lingo CD, took me to his tabla class. His guru Divyang Vakhil shared his teaching style and spoke extensively about Vishals progress, and what he must do to develop even more. It was inspiring and humbling at the same time. I have been capturing a lot of video interviews during my time here, much of which i will post soon. I have also been taking early morning walks to listen to the music of the temples in Old Ahmedabad, and the pictures speak volumes. Today, I spent the entire day with two of the heroes of Global Lingo, Payal and Ganesh. Both of their voices carry the album and Let Them Sing, and their stories are even more profoundly humbling. Payal’s father just recently bought a home after living in difficult conditions for many years. She came to Manav Sadhna for schooling for the past 5 years, where her talent and passion for singing blossomed in the music classes offered here. Her father had no idea she had such a powerful voice until he was called to see her perform at a concert organized by Project Ahimsa supported music teachers at the Gandhi Ashram. Since then, and since the Let Them Sing CD, her musical confidence has led to many concert opportunities which she juggles with her school work. She is an excellent student, and she explained, as we toured her home, that she loves to practice music whenever she gets the chance. She radiates a brilliant smile, and is full of musicality. I then spent the afternoon with Ganesh, who sings He Manav on Let Them Sing, and is extensively sampled throughout Global Lingo. He is one of 5 boys in his family, and his parents work very hard to support his artistic talents. Earning money for the family’s survival is a constant struggle, and he takes every opportunity to perform as long as it doesnt conflict with his schooling. His family kindly gave me a tour of their 1 bedroom home, which overlooks the intense neighborhood in which he lives. The sun set while we toured his street, and he explained that it is difficult to practice where he lives, since the commotion of the neighborhood permeates the thin metal walls of his home. He ecstaticly shared Global Lingo, which features him wearing Golden Headphones on the cover, to all of his friends who surrounded us as we talked. The highlight of the day was a special performance at Seva Cafe, a progressive pay forward restaurant concept run by Manav Sadhna in Ahmedabad. I had the supreme honor of accompanying Payal as she sang for a mesmerized crowd of over 100. We shared the story of Let Them Sing and Global Lingo, and the crowd, full of many of Ahmedabad’s progressive business leaders and activists, were thrilled. Caught just a few hours of sleep from 5am to 9am, and was up again…energized to see the new community center in the Gandhi Ashram, built right inside one of the largest slums in Ahmedabad. This facility is completely constructed out of recycled materials, and beautifully rendered. Project Ahimsa helped fund the creation of a music pavilion within the center, where children can perform and take classes. An inauguration ceremony was underway, welcoming the start of a new physical education program at MS. I captured a beautiful dance program by the kids, and gave a copy of Global Lingo to one of the co-founders of Manav Sadhna, Jayeshbhai. Immediately, the image of Ganesh on the cover with golden headphones, and the map of the global programs Ahimsa ignited a huge flood of new ideas and progress updates from him. We setup a schedule for this week, and I will be at the Gandhi Ashram bright and early Monday morning with my tablas. I am sitting at the Dubai Airport, reflecting on the past 15 hours. I left SF ecstatic and exhausted from anticipation. The thrill of returning to India is very real to me, since I know that this trip will be a prelude for the next 5 years of my creative life. I know this, because that is exactly what happened the last time and every time I have been to India for extended periods of time. Being there cements everything that is true in me, and reinforces that feeling that I am supposed to be here. It has been 3 years since my last trip, and even then, it wasn’t entirely on my terms. But this time, I am going with a mission very close to my heart, to deliver Global Lingo to the children who made it possible. Most of my bags are filled with tabla, musical notes, video and audio gear. All of it to capture a few precious minutes of time with the heroes of our projects, the children who learn to play music against all odds. What is that experience mean to them? What has music enabled them to do? What are their hopes and aspirations? I have never been here before, and if it was any other time, I might have been humbled by it. But, after talking to several people on the Emirates flight who live in Dubai, it seems even more hollow and empty than ever. Apparently, so many people are leaving Dubai because of the financial meltdown, that the city can’t tow all the abandoned cars. I heard that people are literally driving to the airport and leaving their cars in the lots, because debt is illegal in Dubai. So many people are over their heads in mortgages and debt, that their only option is to leave. This has created a scenario where you can buy a used 4×4 volvo wagon for $1500. Homes are empty. People are desperate. And worst of all, the migrant workers…who came here, many of them paying enormous fees to get visas to work here, can find no work. Being modern day indentured servants, they are having to go back to their homelands. What will they face there, when they can’t repay the passage fees that enabled them to leave in the first place? It is a complex time indeed. There is much to learn and remember from what we are seeing…but the question is, will we? What we are seeing happened in the 1920s and many times before when any empire overreaches…but have we learned, have we listened? 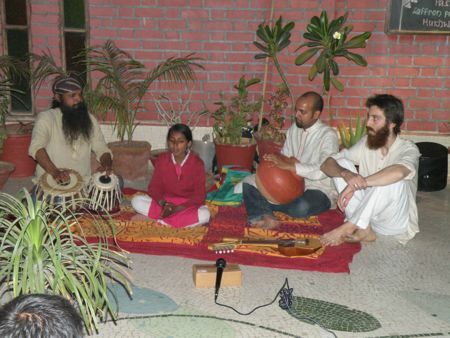 On the heels of one of the strongest programming years in Project Ahimsaâ€™s history, I am traveling to India from February 12 â€“ March 8, 2009 to bolster music education programs in Ahmedabad and Kolkata, India. A major focus of this year’s implementation journey will be Global Lingo, Project Ahimsa’s CD production effort highlighting the musical talents of children we serve worldwide. Click here to learn more about Global Lingo. I am working on a short 10 minute narrative documentary highlighting the experiences of the children involved in this amazing project, and will be interviewing all of them on this trip. I am thrilled to be visiting Manav Sadhna (located at the Mahatma Gandhi Ashram in Ahmedabad) and Disha Foundation (in the Monohopukar slums of Kolkata). Additional support has been generously provided by the Singh Foundation (www.singhfoundation.org) to support Project Ahimsa’s mission to foster non-violence in communities affected by communal violence in India. 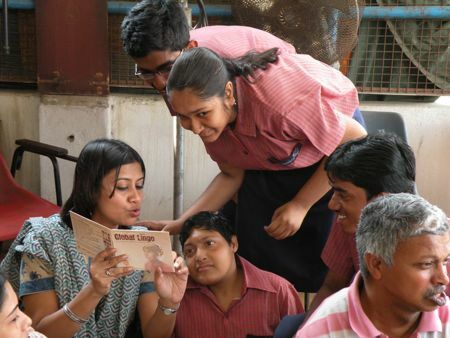 Formal presentation of Global Lingo CDs to children Ahmedabad and Kolkata. Audio and Video interviews of children involved with Let Them Sing and Global Lingo in both Kolkata and Ahmedabad. Capture 6 additional high quality click tracked samples of kids voices and instrumental performances. 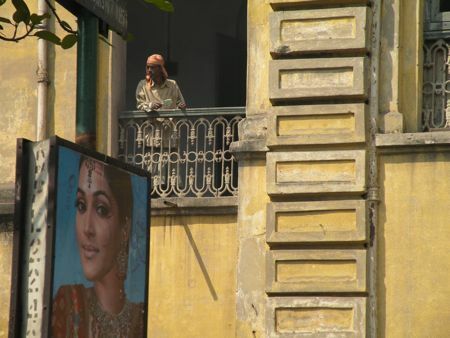 Formal documentation of Kolkata and Ahmedabad Music Centers with video walk thru. 6 total Blog entries, bi-weekly twitters, and facebook updates during and after journey. 2 blog entries per month minimum for the film project. Disha foundation video and interviews (in partnership with Rosalie Giffoniello). Mentaid foundation video and interviews (in partnership with Rosalie Giffoniello). Jason Parmar and I are thrilled to be presenting a 35 minute Teentaal tabla duet at the Ali Akbar College of Music in San Rafael, California on February 7, 2009. The duet will present Lucknow compositions taught to us by Pandit Swapan Chaudhuri, our beloved Guru. Wallace Harvey, disciple of Maestro Ali Akbar Khan, will provide lahara accompaniment. Chalan, Kaida, Kaida Rela, Gat, Tuchra and Chakradhar will be presented. GOOD video recently produced a new 911 PA announcement video to be distributed throughout India via cell phones. The video features a music track composed by Astral Audio Design composer, Qasim Naqvi. I’m very excited to announce a series of performances featuring PremaSoul in San Francisco, California. This project features vocalist/flautist Sheela Bringi, trumpeter Clinton Patterson, bassist David Tranchina, drummer Trevor Anderies, and myself. Gallery admission free to museum members; regular admission rates apply ($10 adults, $7 seniors, $6 youths (13-17) and college students with ID). $12-$15 suggested donation. Doors open at 7:30 pm. Show at 8:00 pm.